Texas employs over one million full-time government workers. 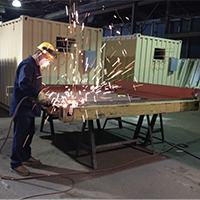 In order to meet the space requirements for all of these hardworking employees of the state, IES offers a wide array of shipping container units. These units are customizable to meet all Texas government needs and specifications. 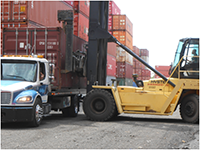 We offer new and used standard and modified ISO shipping containers in Texas. Whether your government organization in Texas needs something as simple as an office space, or as complex as a storage center for sensitive materials, we have the right unit for you. The containers offered to Texas government associations vary from water tight, structurally sound storage units to containers suitable to carry ammunition or other UN Hazard Class 1 (IMDG) explosives. An IES container specialist in Texas will find the right container to meet your state government needs. We offer inspectors in Texas with the capabilities and training to find containers suitable for Department of Defense shipments. Complete our online form, or call us for additional information on containers to meet the needs of your Texas Government organization.